are closing them out now at highly reduced pricing. 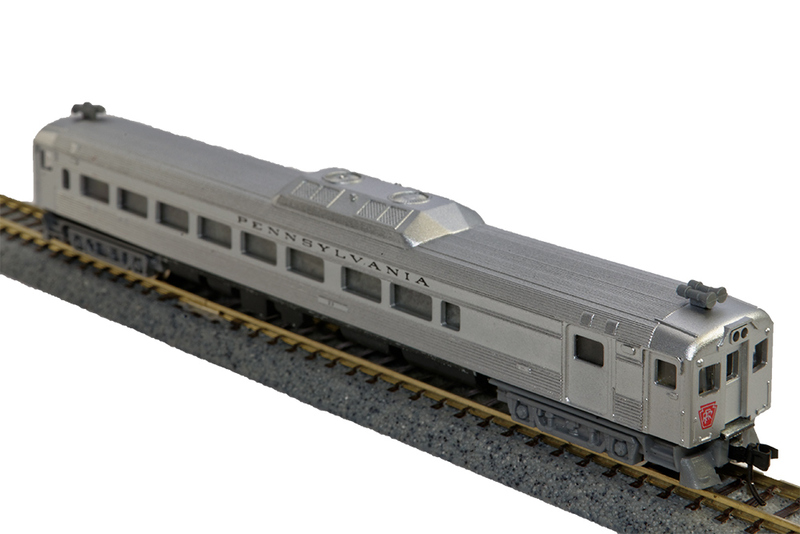 In the early 1950’s, the Budd Company introduced a modern version of the old interurban cars and self-propelled “doodlebugs” that had been so popular during the 1920’s and 1930’s Dubbed the RDV vehicle for many of the major railroads – most especially on their branch lines and those routes previously deemed too lightly traveled to serve with normal passenger’s trains. There three basic variations of the RDC car. The RDC-1 was set up for carrying only passengers. The RDC-2 took away some of the passenger seating area and used it for small baggage compartment. The RDC-3 removed yet more of the passenger seating to add a small Railway Post Office to the baggage compartment. As example of the way the RDC’s were used, Santa Fe (ATSF) utilized DC-191 (an RDC-1) and DC-192 (an RDC-2) in series between San Diego and Los Angeles running the RDC-1 in front, with RDC-2(baggage compartment at the rear) as a trailer both fully powered. Our models of the three principal styles are faithful reproductions of their original and we’ve painted and lettered them for the primary roads that utilized them. We hope you enjoy, for we’re sure you’ll find a place on your roster for these smooth operating beauties. • Factory Mounted Micro-Trains couplers.